Qorao typical market. After 30 minutes riding in our vehicle, will start the tour in one of our traditional markets, Qorao. Here you appreciate the beautiful work of local Artisans and time for shopping . Pisaq market and the archaeological site. located at the Andes Mountains and the Valley itself, we will head to the traditional town of Pisaq. There, we visit the market and learn a bit more about the lifestyle of the local people. 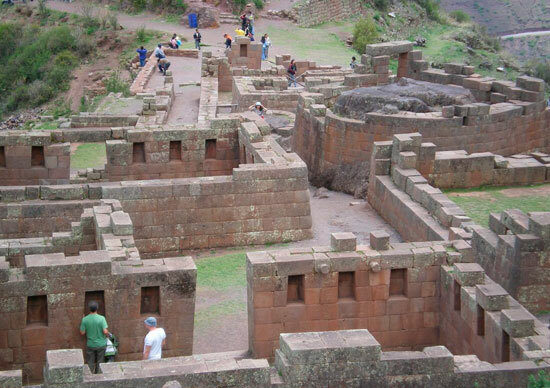 We then visit a traditional or artisan oven, after that, we visit the archaeological complex and see agricultural terraces, Inca cemeteries and royal Inca buildings. Our buffet lunch will be in Urubamba village. Ollantaytambo. 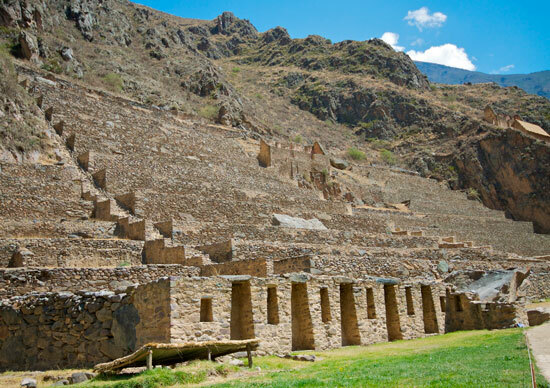 In the afternoon, we ahead to Ollantaytambo, walk the streets and see the archaeological complex of this little town to get a clear idea of what this place was really like during the period of the Inca Empire. Chincheros. 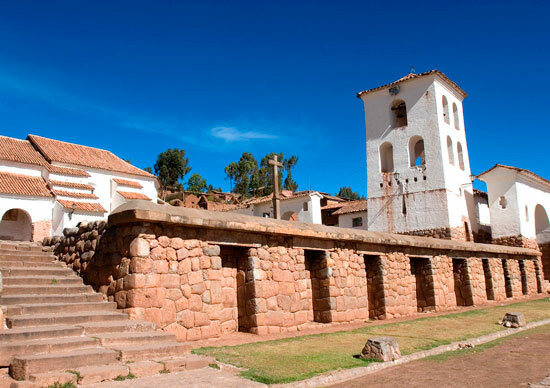 On the way back to Cusco, we will visit the picturesque village of Chinchero where we see the remains of the royal estate of a inca emperor and a colonial temple. You also see the well-preserved Inca Walls at the main plaza. After the guided tour, we will return to Cusco. 6:30 pm. During growth, the Inca achieved administrative control over the various ethnic groups living in or near the Sacred Valley. The attraction of the Sacred Valley to the Inca, in addition to its proximity to Cusco, was probably that it because of the lower elevation and therefore warmer. Agricultural terraces, called andenes,and the archaeological sites are today the most visible and widespread signs of the Inca civilization in the Sacred Valley. Nevertheless,soon withdrew from the Sacred Valley and the area came under the control by spanish invaders. The Sacred Valley It is located in the present-day region of Cusco, 20 kilometres (12 mi) north of the Inca capital. The Sacred Valley Inca Sites Day Trip, was incorporated slowly into the incipient Inca Empire and becoming as a major tourist destination. Sacred Valley has elevations above sea level along the river ranging from 3,000 metres (9,800 ft), Pisac to 2,050 metres (6,730 ft) at the Urubamba River. 4. July, the coldest month.